Volatile commodity and raw material prices are affecting every industry from chemicals, supermarkets to white goods, electronics and automotive. Volatile and unstable global markets have widespread implications for manufacturing organizations. From rising energy costs to unexpected fluctuations in raw material prices and currencies, unforeseen obstacles are threatening to destabilize supply chains and make it difficult for manufacturers to manage their sourcing costs. This is especially the case with the specialty chemicals industry as explained by Mr Wouter Hut, VP Procurement, Akzo Nobel Specialty Chemicals at the 2016 CIEX Europe conference held in Frankfurt, Germany. Hut sees the specialty chemicals market volatility mainly driven by oil price fluctuation and margin battles. However, according to Hut, raw material price volatility can also be an opportunity if managed well. To take advantage of varying raw material prices companies need to innovate and adapt their procurement processes. This starts with the introduction of decentralized procurement functions that use new processes and tools and are more closely aligned with business needs. Falling prices for one material do not necessarily translate into savings explains Akzo Nobel’s VP for Procurement, using the example of Ethylene. Even though prices for oil have dropped, the price of ethylene has not come down due to a continued underinvestment in new ethylene cracking capacity and also due to lower asset integrity of existing ethylene cracking units globally. This discrepancy in pricing is increasingly hard to explain and justify with customers. Price forecasting has become a critical part of Akzo Nobel’s business processes. The company even took the step of making its 18 month advance price forecasting a KPI for its business units. Through a tight integration of PMM diagnostics, pricing methodologies and improved tools & processes, price points, margins and ultimately EBITDA can be managed and improved. To do this effectively, Akzo Nobel forecasts its entire chain using a combination of Stoichiometrics, Demand/supply mapping and market intelligence. Even today, many manufacturers lack the flexibility to respond to market volatility. Hut recommends a two-pronged strategy that focuses on short-term mitigation of risk as well as a long-term sustainability goal. To achieve this, procurement departments need to become agile and adept in the full gambit of derivative instruments. Additional strategies can be the complete review of supply chains, with a focus on proximity to raw material and their value-to-sustainability quotient. Upstream investments can also be considered if capital permits. Last but not least, waste minimization technologies and programs can also create compelling cost savings. Editor’s note: Don’t forget to mark your calendar for CIEX 2017 taking place on 20-21 September, 2017 in Frankfurt! 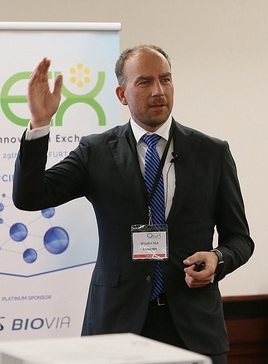 Let’s continue our discussions online on our CIEX Linkedin Group.